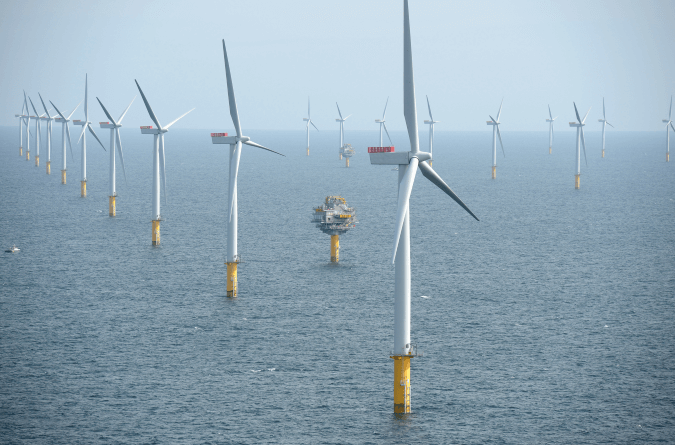 Whilst in planning, Sheringham Shoal Offshore Wind Farm faced an objection from a radar operator. The large number of turbines would not only impact upon the Secondary Surveillance Radar (SSR) itself but a number of low flying military jets. Due to this objection developer Scira Offshore Energy Ltd were struggling to make more planning progress. This case study explores how Pager Power’s SSR assessment helped to resolve the issue. Located between 17km – 23km off of the North Norfolk coast in England, Sheringham Shoal is now operational and covers 35km2. However during the planning process developer Scira Offshore Energy Ltd had received an objection from Cromer SSR about the 88 turbines. For this reason, consultants Airport Planning and Development (acting on behalf of Scira Offshore Energy Ltd) contacted Pager Power Ltd to assist. Despite being over 30km away from Cromer SSR, the radar operated expressed concern that there may be a technical impact on the installation. Although radar operators do not normally object at these ranges this case was considered different because of the large number of turbines and the number of low flying aircraft – namely military jets. The radar objection had effectively stopped the development progressing through the planning process. After initial discussions it was agreed that Pager Power should undertake an SSR Radar Assessment. Initially a Radar Line of Sight Assessment and Radar Detectability analysis were undertaken to better understand the potential impact of the proposed turbines on Cromer SSR. The specific concerns of the operator were then discussed with technical advisers so that all of them could be addressed in the subsequent report. The radar visibility of the turbines and low flying aircraft beyond the wind farm was assessed, together with the shielding effect of the wind turbine towers. Signal losses from secondary radar from the shadow beyond a single turbine tower were predicted using custom built software based on International Telecommunication Union ITU-526 methodology. These losses were found to be approximately 4 decibels at 5km beyond the turbine, with losses reducing at greater distances. The low flying aircraft issue was addressed Typical flight patterns were then considered, the main considerations being that any target would be in the shadow at only intermittent times and that a shadow at a relatively short distance from the radar would not affect its performance. The report’s conclusion was that it is highly unlikely that low flying aircraft would not be detected as a result of the wind farm and hence the wind farm and radar could safely coexist. Following delivery of Pager Power’s report and consideration by the Civil Aviation Authority consent was granted for the Sheringham Shoal Wind Farm, with the development not being subject to any civil aviation planning condition. The wind farm was constructed, and has been operational since late 2012. Figure 1: “Havvindparken Sheringham Shoal (Foto: Harald Pettersen/Statoil” by NHD-INFO / CC BY 2.0.